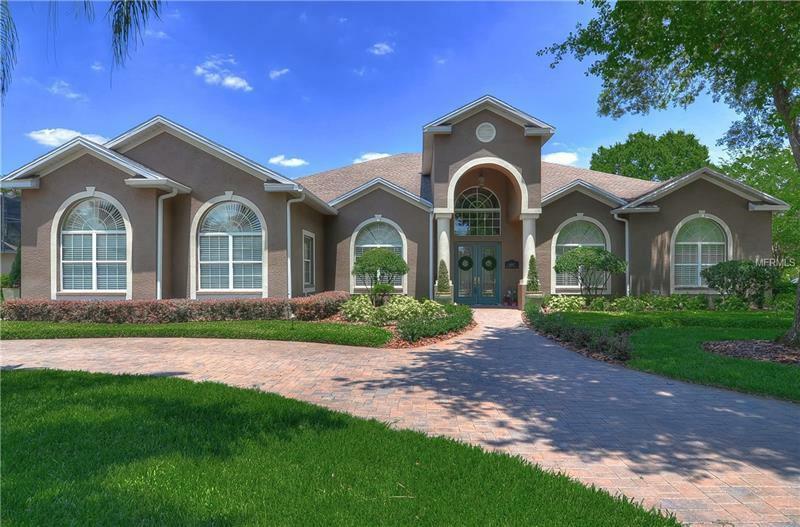 Gorgeous, MOVE-IN READY POOL HOME sitting on a large .48 Acre, cul-de-sac lot in Fish Hawk Trails! Pavered circular drive welcomes you in! The double leaded glass front doors lead you into an elegant foyer with separate formal rooms on either side. The gourmet kitchen features dark cherry 42" cabinets topped with crown molding, granite counters, stainless appliances, and a breakfast bar! Inviting Family room boasts built-in entertainment center and double wide French doors leading to the lanai! Updates throughout include: plantation shutters, wood floors, 20-inch tile, NEW hot water heater, crown molding, professional outdoor lighting, California closets throughout, granite in all bathrooms, wide base, and so much more! The master suite is huge with a double-sided fireplace to the bath, double sinks, granite counters, a garden tub, and a huge walk in California closet! Three-way split floor plan offers plenty of privacy for family and guests! The pool and spa are absolutely gorgeous and overlook the pond and lush backyard, giving you a fantastic nature view. Pavered lanai also boasts a beautiful out door kitchen; this is a great place to relax after a long day. You'll love the peace and quiet! Not only will this Lanai be an oasis, but it offers plenty of space to entertain; thereâs enough room for multiple seating areas! This community boasts 24/7 guard gate, park, playground, and tennis courts! Come take a look at this BEAUTY before itâs gone!